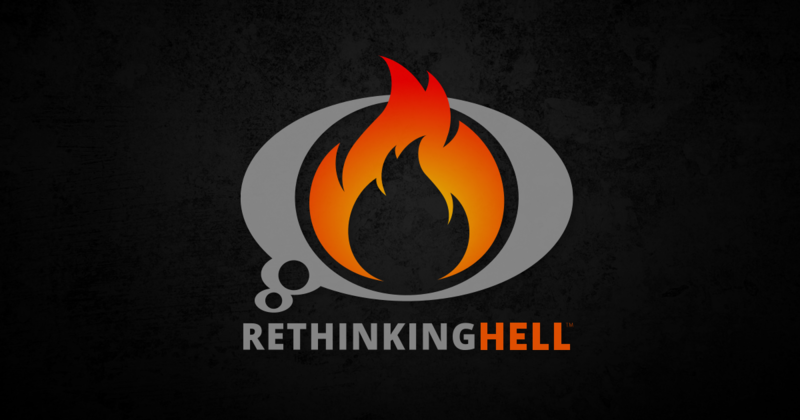 As mentioned by Chris Date in his response to T. Kurt Jaros, Nick Ahern’s blog Split Frame of Reference recently hosted three essays, each representing one of the three main views of final punishment in Christian theology: the traditionalist, universalist, and annihilationist views of hell. This post is my response to the essay “Three views on hell: Universalism” by Jason Pratt of The Evangelical Universalist. NOTE: Jason Pratt, along with the other two contributors, had a 700-word limit which I do not have. Therefore I will obviously be able to develop my arguments more and explain things more in-depth. For that reason our two essays can’t really be compared side by side. So my goal is not to write a more persuasive essay but to explain why the passages which Pratt highlights do not give a strong case for universalism, such that those who hold to the biblical view of hell—as a final and everlasting end to conscious existence—do not need to reconsider their position. From the introduction and conclusion of Pratt’s essay, it is clear that one major theme is that passages traditionally used to refute universalism, according to Pratt, actually help to prove the doctrine it. The exegesis of three key passages or groups of passages make up the bulk of Pratt’s essay. I will thus spend the bulk of my response countering the points made in regard to those three sections, explaining why they do in fact help to refute universalism after all. Pratt begins by arguing that Paul’s description of Christ’s vengeance in 2 Thessalonians 1 should be seen as a description of a fearful judgment but one that ultimately ends in repentance and restoration for all. The reasons for this are threefold, he tells. First, it is because in this passage Paul is alluding to the prophecy in Isaiah chapters 2 through 5 which, according to Pratt, ends with universal reconciliation—and so Paul would be conveying that meaning too. Second, in light of the first claim, the term “pay the justice,” a literal rendering of verse 9, means that those who had fled from God will come to pay homage to him for his justice. Third, the term for “destruction” in verse 9 is used in 1 Corinthians 5:5 to describe a man who was not destroyed but saved, so it does not mean literal destruction. First of all, Paul is likely appealing to more than just Isaiah 2. Paul is also likely alluding to Isaiah 66:15, the Bible’s only other instance of God coming in flames and fire in judgment. There God comes not to renew but to kill en masse! Showing Christ coming to inflict vengeance in flaming fire, in what is clearly an eschatological context, doesn’t serve Pratt’s point very well. Second, Pratt’s whole point is dependent on Isaiah chapters 2 through 5 teaching universalism. But even a cursory reading of the chapters shows that this is not the case. Indeed a lot of emphasis is put on hope; however, that hope is explicitly only for a remnant who survive (Isaiah 4:2-3). Those in Zion and Jerusalem who survive, not mankind in general, are those who God will renew with a Spirit of fire (Isaiah 4:4). Chapter 5 does have the famous song of the vineyard, but that song is followed by a series of curses, not pronouncements of hope for the wicked. There is no universal reconciliation in this passage to begin with, even if Paul was referring the meaning of this whole prophecy. The even more literal NASB phrases the last part as “pay the penalty.” It should be no surprise, then, that the Septuagint uses the same Greek word for pay/pay the penalty/suffer.1“Search the Bible for G5099 in LXX_WH,” studybible.info, November 3, 2012.. Although the Septuagint is not inspired like scripture is, it is a pretty good indication of how the Greek words were used in the times around the composition of the New Testament. With that in mind, in the Proverbs passage there is no positive value for the man to attribute to anything. The contrast is that one avoids evil and prospers, and one continues in that path. There is no paying homage to God in it at all. There is no positive valuing of anything evident. It is just suffering rendered onto a person. The same could be said for Proverbs 24:22 and Proverbs 22:29. In short, the fact that the wicked literally pay a penalty, as the passage says, doesn’t mean that it is of any positive value to them any more than you would have thought reading this passage prior to stumbling across Pratt’s essay. This is somewhat of a more substantial claim. That isn’t to say it is particularly strong in making us think that eternal destruction doesn’t mean being destroyed and left in that state for eternity—which is what one would think “eternal destruction” means when reading that for the first time. Nevertheless, there is more to it than the first two claims. The word for destruction, olethros, does have some ambiguity attached to it. It may be used in 1 Corinthians 5:5 in a way that means something other than literal destruction, but that isn’t a given. This is because Paul does not say that the man will be destroyed. He refers to the destruction of his flesh. In some cases details do not matter that much, but here they certainly do. It is the man’s flesh that is to be destroyed. The $64,000 question then becomes a matter of what Paul means when he speaks of the destruction of the man’s flesh. Did he mean his literal flesh? Or did he mean it as a metaphor for his sinfulness, which Paul often means by flesh. If it’s the latter, then Paul really is talking about destroying it completely. Paul is referring to the end goal of ridding the man’s sinfulness from him. Obviously the man would not have been totally free of it any time soon, but the aim is its total destruction. And remember, Paul is talking about the purpose of it, not what he thinks will happen short term. We don’t aim to be righteous and sinless most of the time; we aim to be perfect all the time, comforted of course by the fact that God will forgive us when we do fail. Paul’s aim is to make the man perfect as well, even though he knows that will not happen anytime soon. So if that is the flesh Paul meant, he surely was referring to its annihilation—something that would hopefully begin upon the man’s excommunication and culminate in his glorification at the resurrection. Now if literal flesh is in view, then I guess it really depends on what was to happen when the man was excommunicated, which we don’t know. Some say the man would be subject to death, which would entail the literal destruction of his flesh. Some say it means more along the lines simply of suffering, which would give olethros a meaning more along the lines or ruin or something else. Ultimately we have some ambiguity here, but we certainly can’t take for granted that 1 Corinithians 5:5 means it in a way that doesn’t amount to literal destruction. In this part of the essay Pratt looks at Jesus’ pronouncements of the sin that is said to be unforgivable, blasphemy of the Holy Spirit. (See Matthew 12:31-32 and Mark 3:27-29.) His first point is that the heart of this incident and Jesus’ pronouncement is the warning that some men will be worse on the day of judgment than they are now, and that this is demonstrated by the man having to have his demon exorcised twice. He points to Matthew 9:32-24 as the man having previously been demon-possessed. However, Jesus’ analogy about the wickedness of that generation being worse than it was before (Matthew 12:43-45) doesn’t change what Jesus said in verse 32! Pratt doesn’t even attempt to show any reason why this should make us read Matthew 12:32 any other way than we normally would. Even if we grant the various claims (such as the claim that it is the same man from Matthew 9:32-34), the claim isn’t in any way mutually exclusive from the interpretation that blasphemy of the Holy Spirit will never ever be forgiven. Much of the emphasis on this section is unfortunately not on exegesis, but on rhetorical questions about God’s grace. How do we know that it doesn’t mean anyone will be eternally condemned? Because, as evil as they were, “such a state was not beyond Jesus’ salvation—or there wouldn’t have been a controversy at all.” No explanation of how the existence of controversy proves universalism is given at all. And the rest is not exegesis but philosophy. And finally, once again, it comes down to God’s grace: “Is our sin superior to God’s grace? Or does God’s grace hyper-exceed our sins?” If that is the attitude one is going to take, why should we even bother studying what the Bible has to say? Not that our sin is superior to God’s grace; that is a false dilemma. The fact that God chooses to save some and not others does not mean that God or his grace was beaten. As to why God only saves some when he certainly could save all is a difficult question, but it doesn’t prove universalism. If we are going to let God’s word speak for itself, then an appeal to God’s grace and the other arguments in this section are not enough to make this verse compatible with universalism, let alone evidence for it. Regarding Matthew 25:31-46, Pratt places great importance on the fact that the goats in the Greek of verses 32 and 33 are kids (i.e., baby goats), not grown goats. This shows that, as far as Jesus is concerned, they are not rejects but simply members of one flock that need to grow spiritually. He also mentions Revelation 22:15 to show that the lost are alive and able to be saved, suffering outside the kingdom of God where the saved and Christ will continue reaching out to them until they are saved. I argue that this argument is far too speculative to be of much use, that it overemphasizes what was simply an analogy made in passing, and that even if the reference to goats and sheep was a key metaphor, it could quite easily be taken in ways that don’t help universalism at all. The reference to a shepherd and his flock of sheep and goats is not nearly as telling it might seem. Although this passage is sometimes called “the parable of the sheep and the goats,” it isn’t really a parable about sheep and goats. It’s not some story about a shepherd and him dealing with his flock where it all is symbolic of what will happen at the final judgment. It’s a didactic, straight-forward description of future events (albeit probably with some figurative language). The sheep and goats reference isn’t part of some metaphor. Jesus was just saying that he’ll separate the two sides, and appealed to a common profession where things are distinguished. It was just an analogy made in passing. It’d be like if he said today, “I will separate them like a launderer separates the darks from the lights.” That wouldn’t mean we should then look at all the aspects of laundry to determine what they symbolically represent! There’s nothing that suggests it was meant to be a key part of what Jesus was saying. Furthermore, the reference to Revelation 22:15 and the lost being outside, hungry and cold, of course assumes that universalism is true and that them being cast into the lake of fire in Revelation 20:15 and Revelation 21:8 doesn’t represent eternal torment or destruction, but only represents them being hungry and poor. For more on why that passage doesn’t indicate their continued existence in support of the traditional view, allow me to plug another post on our website. Secondly, even if the mention of sheep and goats did have some key metaphorical meaning, it wouldn’t be nearly as fitting to Pratt’s universalist interpretation as we are led to think. Indeed, the goats are specifically referred to as baby goats, but does this mean that they will grow up spiritually and end up like the sheep? Absolutely not. Why not? Because no matter how much a goat grows it will never be a sheep. I’m sorry if that sounds pedantic, but if there is a key metaphor then it matters what the parts are. If God wanted to make the point that the kid goats just need to grow up, as it were, then why didn’t he say that the two groups were lambs and sheep, or kids and goats? They aren’t just separated by development and age; they are two different kinds of animals. Their difference would be fundamental and permanent. A goat will never become a sheep. And along those lines, if this was all a big metaphor about a shepherd and his flock, having the shepherd sent the kid goats away into a raging inferno doesn’t sound like a metaphor for universal salvation. In the conclusion Pratt briefly mentions verses from which a positive case can be made. Due to the 700 word limit he couldn’t exegete them, but since I do not have such a limit I will look at them briefly (although not as in depth as I could, since I do have the limit of too-long-to-be-appropriate-for-a-RethinkingHell-post. I deal with many of these more in-depth in “The Bible teaches annihilationism.”)4Joseph Dear, “The Bible teaches annihilationism” (unpublished). Do Isaiah 25, Isaiah 45, or Hosea 13 to 14 say anything about post-mortem salvation? They certainly don’t say anything clear or obvious to that effect. Furthermore, Hosea 14 and Isaiah 26 (which follows chapter 25, obviously) mention judgment without reconciliation for the wicked! I invite the reader to examine these passages and see that they don’t say what Pratt claims they say. On Philippians 2:14, is universalism necessary for all knees to bow? Certainly not. If God destroys all that oppose him, all that is left will be those that bow before him.5Some traditionalists argue that the wicked will be forced to submit and metaphorically bend their knees, acknowledging God’s greatness. I do wonder, however, how many of them also are among those who argue that those same unsaved people will forever keep sinning and rebelling against God in hell for ever and ever, which was addressed in a previous post). Furthermore, as fellow contributor Chris Date pointed out to me, references to all mankind or all flesh and so forth can be a reference not to all who have ever lived but only those who are alive. We know this is the case in Isaiah 66:23-24; when God says that all flesh will come to worship him, he clearly isn’t including those he just killed, whose corpses all flesh are said to look upon in the very next verse. Are we to suppose that the souls of those wicked dead will rise out of their bodies and worship God with the live, embodied saved, looking at their own corpses in disgust (or some other absurd solution)? Certainly not. There, all people include all who are still alive. Likewise, all who have not been conclusively killed and destroyed in the lake of fire, all who still exist, will bow their knees and call Christ their Lord. On 1 Corinthians 15:20-28, according to annihilationists who, like me, include the devil among those destroyed, God is all-in-all at the end of time just as universalists believe. All that opposes him is destroyed, so nothing that exists anywhere for which he is not “all-in-all.” And although a reference is made to “all men” in verse 22, all doesn’t always mean literally all people who have ever lived. We know that this is the case here for two reason. First of all, Paul only mentions believers among the resurrected in verse 23, those who Jesus brings to life. Secondly, those who Paul is talking about rise in glory and power in verse 43. This clearly does not include the unsaved. They rise to shame and damnation (Daniel 12:2; John 5:28-29). Even if they are ultimately saved at some point long after the judgment, they are initially shown as being cast into a lake of fire with the devil and death itself. That’s not very glorious! And, most importantly, even if they get saved after that, they were not resurrected in that glorious state. If they have a glorious resurrection like the one spoken of in 1 Corinthians 15, it would have to be another later resurrection. In other words, this passage could only apply to all men if universalism were true and if the wicked die again and are resurrected a second time! With regard to Colossians 1:20, while God reconciling all things to himself in Colossians 1 certainly sounds like universalism, why would Paul in that same passage warn the Colossians that they must remain faithful in order to keep the salvation which is supposed to be universal and unconditional? Could it be instead that by reconciling it simply means that God is making things to where at one point all that has not been destroyed will be at peace with him or reconciled? As for “eanion/aionios,” the readers of Pratt’s essay and this response will have to investigate the issue for themselves because it is arguably the biggest issue in the whole universalism debate. For universalism to be true, it must be the case that in passages where the fate of the lost is qualified as eternal or everlasting (such as Matthew 25:46, 2 Thessalonians 1:9, and Hebrews 6:2), the word for eternal, “aionios,” should not have been translated that way. In order for universalism to be a possibility it must be the case that the destruction and punishment are not eternal (which does not have to be the case for annihilationism to be true). The passages that appeared to go against universalism still do just that. Pointing out various aspects of the context without addressing the central claim doesn’t change that. And appealing to God’s grace doesn’t change that—at least not if we are going to let the Bible guide our theology and not vice versa. I don’t know why he saves some and not others when he certainly has the power to save us all; and having so many loved ones myself who do not believe, that isn’t just a lofty theoretical problem for me. But the Bible teaches what the Bible teaches. 1. ￪ “Search the Bible for G5099 in LXX_WH,” studybible.info, November 3, 2012. 2. ￪ Meatloaf, I Would Do Anything For Love (But I Won’t Do That) (N.p. : MCA, 1993). 4. ￪ Joseph Dear, “The Bible teaches annihilationism” (unpublished). 5. ￪ Some traditionalists argue that the wicked will be forced to submit and metaphorically bend their knees, acknowledging God’s greatness. I do wonder, however, how many of them also are among those who argue that those same unsaved people will forever keep sinning and rebelling against God in hell for ever and ever, which was addressed in a previous post). Joseph Dear is author of the comprehensive study, The Bible Teaches Annihilationism. An accounting professional by trade, in his off time he purposefully shares any insight and wisdom he gains through prayer and Bible study, in the hope that it will be useful to others in their walk with God, and may further the cause of our Lord Jesus Christ. 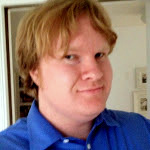 In addition to blogging here at Rethinking Hell, Joseph maintains 3-Ring Binder, his personal website and blog.